Christopher Jones in Ryan's Daughter. Christopher Jones, who had a key role in David Lean's 1970 romantic epic Ryan's Daughter, died of complications from gallbladder cancer last Friday, January 31, 2014, at Los Alamitos Medical Center, approximately 35 km southwest of downtown Los Angeles. Christopher Jones (born William Franklin Jones on August 18, 1941, in Jackson, Tennessee) was 72. Chubasco's teen love interest was played by Susan Strasberg (daughter of Actors Studio founder Lee Strasberg), by then 29 years old and married to Jones since 1965. The couple's brief and stormy marriage would end in 1968. That same year, Christopher Jones starred in Barry Shear's low-budget but remarkably successful American International Pictures release Wild in the Streets (1968). In the Robert Thom-written film, which shows that teenagers can be as good as adults at electing demented leaders, a rock star (and former home-explosive maker and Shelley Winter's son) becomes president of the United States after the voting age is lowered to 14. His big plan: sending everyone over 30 to retirement homes where they'll live happily ever after on a steady LSD diet. Richard Wilson's dramatic comedy Three in the Attic (1968), in which Jones finds himself embroiled with a trio of girlfriends, among them Yvette Mimieux. Frank Pierson's spy thriller The Looking Glass War (1969), based on John le Carré's novel, and featuring leading lady Pia Degermark. Renato Castellani's Dino De Laurentiis-produced drama A Brief Season (1969), in which star-crossed lovers (Jones and, once again, Degermark) meet and fall madly in love in Rome before fate and stupid choices intervene. But by far, Christopher Jones' most notable film remains Ryan's Daughter, David Lean's first movie after the immensely successful Best Picture Oscar nominee Doctor Zhivago (1965), which itself had followed two other Best Picture Oscar winners and worldwide blockbusters directed by Lean: The Bridge on the River Kwai (1957) and Lawrence of Arabia (1962). Considering Lean's previous three efforts and the prestige of screenwriter Robert Bolt – who had collaborated with Lean on Lawrence of Arabia and Doctor Zhivago, in addition to penning Fred Zinnemann's 1966 Best Picture Oscar winner A Man for All Seasons (from Bolt's own play) – there were high hopes for the $13.6 million-budgeted Ryan's Daughter. The Metro-Goldwyn-Mayer release, however, failed to live up to expectations. Starring Robert Bolt's then-wife, Sarah Miles, the 1916-set Ryan's Daughter tells the story of a married Irish villager (Miles) who cheats on her mild-mannered schoolmaster husband (a surprisingly well-cast Robert Mitchum) with a shell-shocked British officer (Christopher Jones, dubbed by Stanley Holloway's son, Julian Holloway, as Jones' voice and accent were deemed inadequate). Needless to say, the romantic-political tale, with elements in common with Gustave Flaubert's Madame Bovary, has a tragic ending. Despite mixed reviews from critics – with some complaining that Lean miscalculated by handling an intimate love story as a grandiose superspectacle – Ryan's Daughter was a solid box office hit, collecting a reported $30.84 million (loosely, $166 million today) in North America. 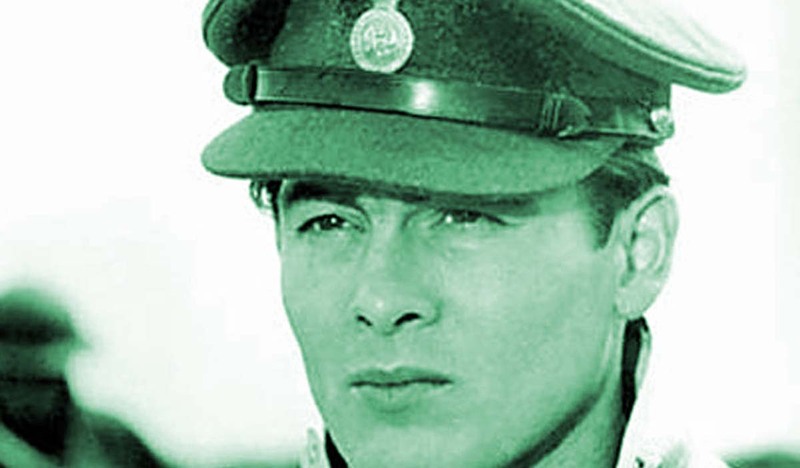 Even though that figure was lower than those of David Lean's previous three films, Christopher Jones should have profited from the film's financial success. Yet, Ryan's Daughter turned out to be Jones' last major film role. A difficult production for all involved, Ryan's Daughter seems to have been particularly tough on Jones as at that time Roman Polanski's wife Sharon Tate, with whom Jones later claimed he was having an affair, was murdered along with five others by Charles Manson's gang. Miles also said that years later Jones told her that Sharon Tate was preparing to divorce Roman Polanski, whose child she was expecting, so she and Jones could be together once filming of Ryan's Daughter was completed. After Ryan's Daughter, Christopher Jones, who claimed he saw acting “as only a means to an end,” would return to the big screen only once more, in a small role as a favor to friend and Wild in the Streets featured player Larry Bishop, the director of Trigger Happy / Mad Dog Time (1996). Besides Jones, the little-seen all-star crime comedy featured Gabriel Byrne, Ellen Barkin, Diane Lane, Richard Dreyfuss, Burt Reynolds, Jeff Goldblum, Kyle MacLachlan, Michael J. Pollard, Joey Bishop (Larry's father), Paul Anka, Billy Idol, Richard Pryor, and several others. Two years before Trigger Happy, Jones had turned down Quentin Tarantino's offer to play Zed, the psycho who rapes another male character – and then gets blithely slaughtered by Bruce Willis – in one of Pulp Fiction's most vile sequences. Peter Greene was eventually cast in the part. Note: Thirty-two-year-old film and television actor Christopher Jones (Forrest Gump, Six Feet Under) is no relation to the Christopher Jones of Wild in the Streets and Ryan's Daughter. Christopher Jones quote on acting: Los Angeles Times.